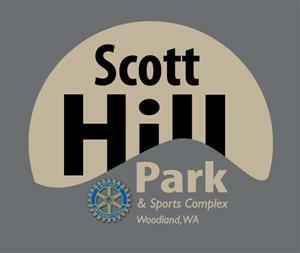 The Rotary Club of Woodland is partnering with the City of Woodland to develop and construct a much needed park and sports complex on 40 acres of land at the top of Scott Hill in Woodland, WA. The City of Woodland purchased the land but, like most cities throughout the state and the nation, is experiencing reduced revenues and state and federal assistance. As a result, the city does not have resources to develop the park now, and probably would not be able to do so for many years in the future. 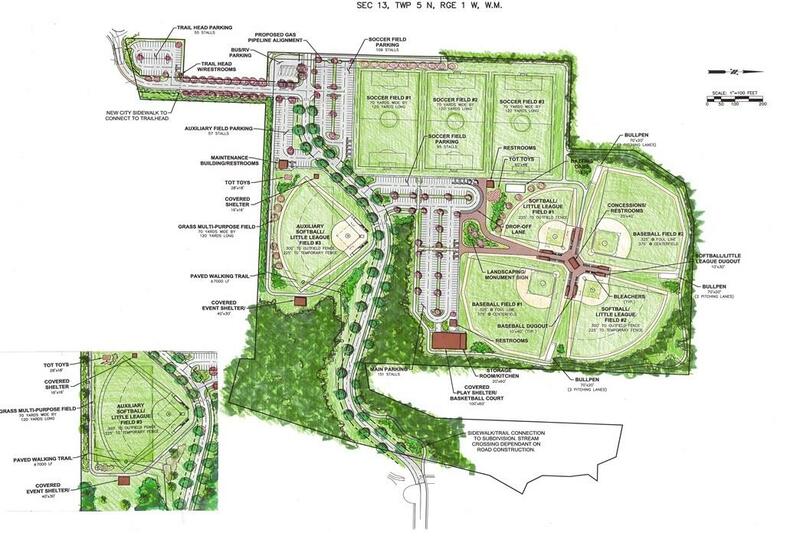 Woodland Rotary has stepped up to fill this funding void in Woodland by creating the vision for a park and sports complex, raising funds needed to build the park, overseeing park construction, and planning for sustainable operation and management. As a service organization, the Rotary Club of Woodland is proud to be taking on this much needed project. Woodland's Little League fields are unsafe and inadequate to meet the needs for youth baseball and softball in Woodland. The Woodland School District sports facilities are in full use by the school district with very limited time for use by non-school entities. With limited park and sports facilities in Woodland, many children and adults must travel miles to neighboring communities to participate in their chosen sport or outdoor activity. Those who lack transportation lose out. The Scott Hill Park & Sports Complex will provide outstanding facilities for our growing community, enhance our quality of place, and improve health and fitness outcomes for children, families, and seniors throughout our community. The sports tournament facilities will help meet the needs of regional leagues and serve to draw additional visitors to our community. Two Story 1600 SF Concession, Restrooms, storage and Game Announcer Both for all Fields. Multi-use field available for soccer play. 1 – 300’ Dirt Infield Fast pitch, Slow-pitch and Little League Field – Uses Temporary Fencing. A 100 ft x 60 ft multi-use covered play shelter with Kitchen and storage room. 2 - Tot-Toy Play areas onsite. 4 – Satellite Restroom Facilities onsite.